21st companies know that they need to innovate and create new business models to compete and succeed. Knowing what to do and doing it are two very different things, however. Many organizations send their employees off for training or bring trainers in to help develop skills for creativity and innovation. As a human-centered design consultant and trainer I’ve done many of these. All of these focus on changing the way you do things, your culture in other words. Culture change is tough, long work. It never ends. 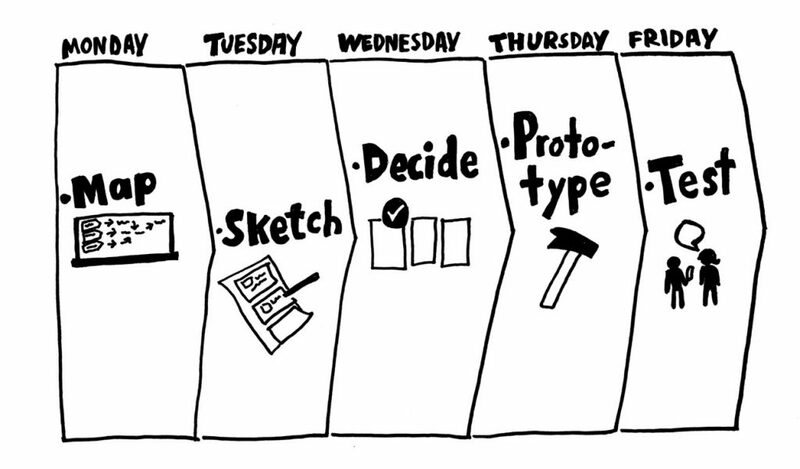 One way I’ve seen organizations jump-start this effort is through design sprints. Sprints give design thinking or agile or innovation training a practical focus. 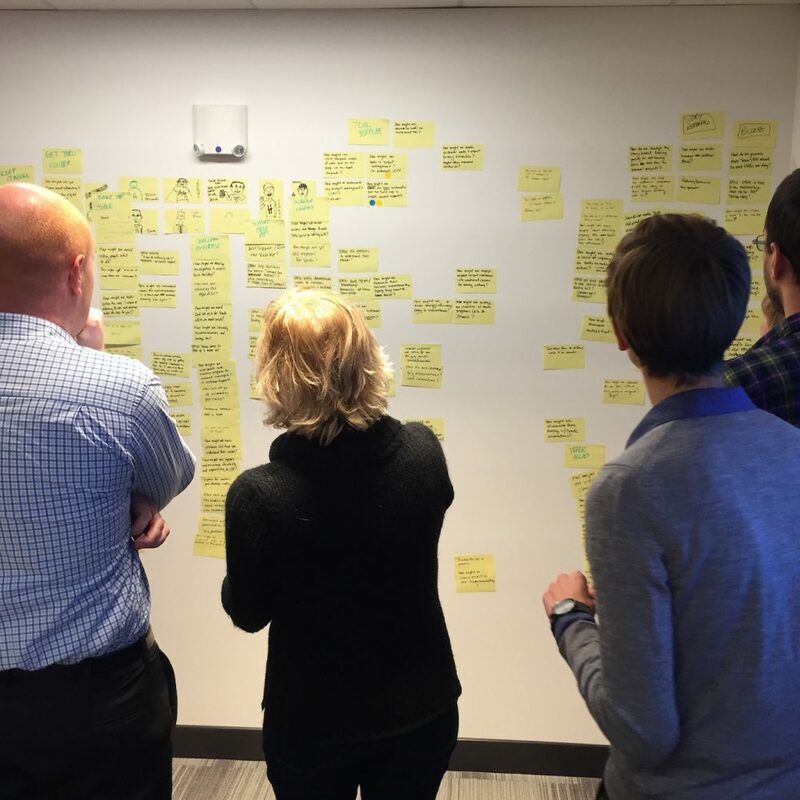 Small groups of employees spend two days or up to a week following a design process to create something new, to get a project unstuck, or to leapfrog an opportunity. Startups use sprints a lot more often than established businesses. That’s because they are in the business of creating something new or disruptive. By their nature alone, they embrace speed and experimentation. As organizations struggle to make themselves more entrepreneurial, sprints offer one small way of doing so. In general, a sprint is a short, time-constrained period where groups of people work on a particular task, project or problem. In it’s simplest form, a sprint might entail a couple of programmers locking themselves away for a few days to finish coding a project. The “sprint” here is simply a race to the finish line. A design sprint takes a different form. It uses and follows a design thinking, or human-centered design process, as much as possible. 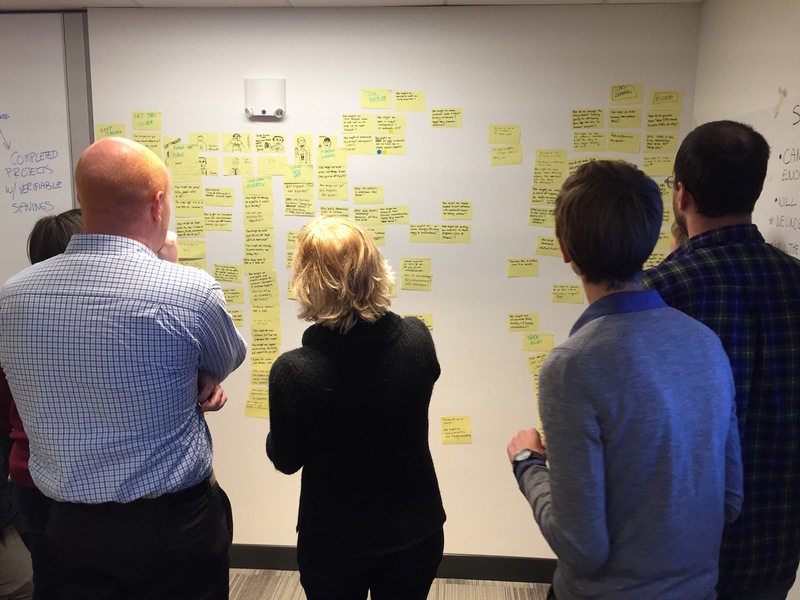 In a very short time, a team engages in empathy, understanding, insight, ideation, prototyping and testing. The big result of a sprint, which differentiates from other intense group work, is the creation of a working prototype that you test with real customers. The prototype provides you with real-time, real-people validation, or not, of your underlying assumptions. 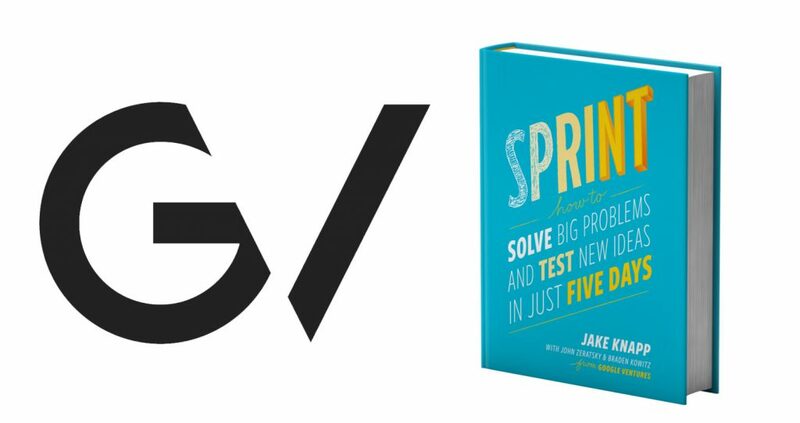 Recently, Google Ventures released its book “Sprint” where it outlined the process it uses with startup it invests in. It includes cases from companies like Slack, Blue Bottle Coffee and Savioke Robots. Think of this as a Sprint Cookbook; unlike many other similar books, it provides a clear, easy to follow outline of a weeklong sprint. Of course the devil is in the details. Good sprints need good teams, good clarity, good goals and good facilitators. A Google sprint takes one week, from start to finish. Subsequent sprints might take a shorter amount of time. But the results are clear, tangible and inspiring. I find that many organizations shudder at the thought of shifting six to eight high performing staff members off of their daily work to focus on a weeklong sprint. Funny, though, that some of these same staff members disappear for days on end at various conferences or other events throughout the year. Although I’ve been to many events, I’ve found few of them that provided the value of a sprint. Here’s the structure of the Google sprint. Still a week is a long time. I’ve done two and three day sprints. You lose something in that short space, but sometimes it suffices. A sprint needs a big, clear focus. If you need a smaller iteration of something that already exists, don’t waste everyone’s times with a sprint. Use it for new initiatives that you have trouble figuring out what to do for next steps. Or use it when your team is stuck and can’t easily find a way forward. Sprints typically provide big ideas articulated in small prototypes. To start, make sure the team knows what it is working on or why. Sprints run into trouble when team members start debating the value of the initiative half way in. If someone has an agenda of what they personally want to happen, you have to make sure that they articulate it out loud and are prepared to let go of it if the team moves in another direction. The Google sprint does provide for a “Decider” to make sure that the team keeps moving forward. You also need a diverse and talented team. You want people from various backgrounds and experiences. You also want someone who can actually make stuff. Entrepreneurs, designers and engineers usually fit this bill. That’s why sprints work well in startups: everybody is more or less making. Finally, you need leadership commitment to pursue the results of the sprint. The worse thing I’ve seen happen is a group that’s done solid work, created a working prototype that delivered highly positive results from actual customers only to have their work pooh-poohed by their boss. They all came away believing they had been deceived or had their time wasted. It’s a bad feeling. Culture is the way things get done. Engagement is they way people feel about the way things get done. A sprint is the way things get done. It produces a ridiculously high engagement. If 2017 is the year of innovation in your organization, you probably should consider a sprint.